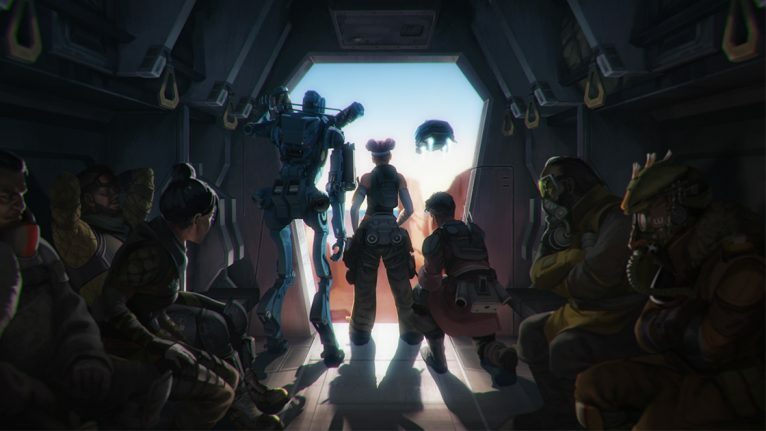 With the release of the highly-anticipated first season of Apex Legends and the introduction of the Battle Pass, players are more eager than ever to reach max level. The Battle Pass gives you access to a number of exclusive character and weapon skins, combined with stat trackers and other cosmetic goodies. It costs 950 Apex coins, which roughly translates to $9.99. You’ll be awarded an additional 950 coins upon completing the Battle Pass, though. This means that if you reach the level cap in time, you’ll be able to afford the next Battle Pass. It’s not free—by any means—but the method allows those of you who are strapped for cash to continue enjoying the game’s content as the seasons progress. What’s the most efficient way to level? There’s a number of different methods that you can use to make the most out of the leveling system, but there isn’t one defined tactic that will bypass it. You’ll still have to be patient and play the waiting game to reach level 100. It’s important to understand where experience comes from in Apex. There’s no use blindly hunting for kills and hoping for the best, for example. One kill equates to 50 XP, which isn’t a lot, all things considered. You’ll have to grind through millions of XP to reach max level. The first and easiest step to leveling fast is playing with friends. It’s fun to mow down your enemies, but by just playing with a friend or two, you’ll get passive XP. You’ll get 0.15 XP per friend, per second in the game. That means you’ll get 0.30 XP every second you play. That doesn’t sound like a lot, but it quickly adds up. The biggest injection of XP, though, comes from weekly bonus survival time. You’ll get 25,000 XP per legend, per week, for just surviving. You’ll get 180 XP per minute, so it’ll take you around 140 minutes to max out a single legend. That’s not a great deal of time for a gamer. Once more, you only need to survive. If you really wanted, you could deliberately drop as far away from the action as possible, and bide your time. That’s obviously the less fun strategy, but even if you go in head first and land at a hot drop, it still won’t take too long to get that bonus 25,000 XP. If you really want to go out and level as fast as possible, you could max out all nine legends and get your hands on 450,000 XP. This would take around 21 hours, which is admittedly a fair amount in the space of a week—but it’s still a valid option. It’s also important to note that surviving time continues once you’ve died. That doesn’t really make a lot of sense, but if your teammates are still roaming around the map and you’re sitting dead, it will still count toward your weekly bonus. Another thing to take into consideration is player respawning. It’s something to be aware of if you’re playing alone. In this situation, you’d most likely ignore your teammates and continue battling it out for the No. 1 spot, but respawning actually gives you a whole lot of XP. You’ll get 200 XP per ally, which is a considerable amount considering kills only give you 50 XP. Next, if you’re a skilled player and you consistently win games, you’ll get a great deal of XP. The combination of survival time, kills, placing top three, and winning will all give you bonus XP. You’ll get 300 XP for placing top three, and 900 XP for a win. It might seem like a mammoth task at first, but 100 levels isn’t a great deal. If you enjoy playing the game, it should come naturally to you. There’s still a lot of time before the second season begins, so there’s no need to worry—yet.